I strongly believe that deep down, everyone thinks this world is about them. It feels natural to assume so, considering our basic instincts revolve around individual survival tactics. We all want to be the stars of our own production, the protagonist of a timeless story. Who wouldn’t want to be the hero? The stories of our youth become increasingly fictional as we grow up. Life is slower and far more complicated than we were made to believe, and the random subplots seldom seem to tie back into the main theme. Still, within each of us there burns an unquenchable fire to see our hopes and dreams realized. The struggle between the real world and our wide-eyed desires comes to life in Glass Tactics’ debut single “Pavement,” which Atwood Magazine is proud to be premiering today. A not-so-cautionary tale of real life’s challenges, “Pavement” finds Glass Tactics taking a hard look at the surrounding world, and going for it anyway. 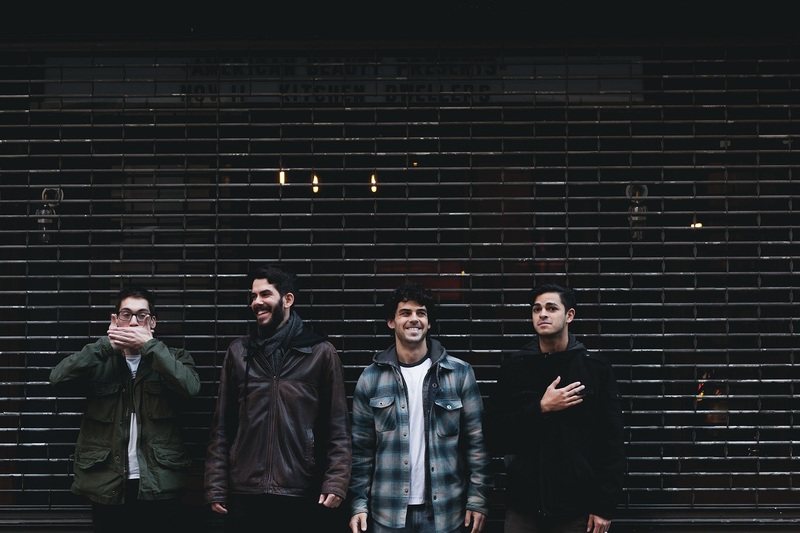 Based in New York City, the fledgling indie rock band formed in 2015 and consists of Scott Sugarman (guitar, lead vocals), Nick Paldino (bass, backing vocals), Nick Cela (drums), and Danny Kearney (guitar). With their independent debut EP Tactics out February 3, “Pavement” provides a perfect introduction to Glass Tactics’ colorful mix of catchy, big melodies, driving riffs, and thrashing guitars – not to mention their refreshingly fresh outlook on the world. 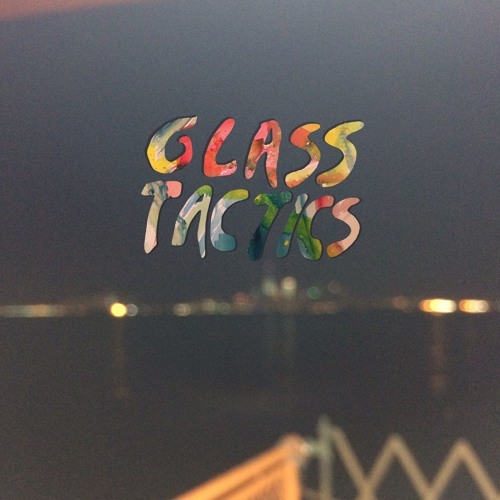 “Tactics the EP, is a kind of summary statement of what we want to do with our music: craft hooky, inclusive, and energetic indie rock harnessed to thoughtful, intentional lyricism,” explains Scott Sugarman. “We repurpose rock tropes and oppose the sexism, homophobia, and bigotry that has unfortunately often been part of the genre throughout its history. And we make our music in the name of fun.” In the name of fun. This last statement lingers in the air, resonating in the energy and attitude of the band’s first offering. The band reaches its first crescendo, and the music abruptly halts: Nothing but a Strokes-y guitar remains, playing a hard rock riff that echoes with the track’s already-growing frustration. The scene is set, the increased velocity awakening listeners as well as the band: Paldino’s bass lines are lively and creative, expressing the kind of chaos that’s perfect for the song’s story. The city can feel uncaring, impersonal, and unfeeling, but it can also convey you to great opportunities. Those in the New York area can catch Glass Tactics live at their EP release show on Saturday, Feb. 4 at Arlene’s Grocery (RSVP here).